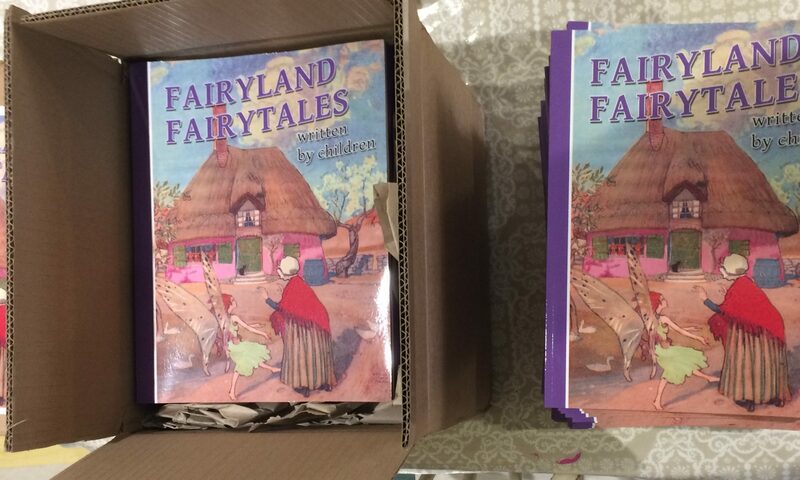 Last year I created and published a book called Fairyland Fairytales, which was a book commissioned by a lady from a Shanklin tearoom who wanted to compile a book of fairy stories written by children. She wanted the book for sale in her tea room and for all profits from the book to go to a charity of her choice each year. I’m happy to report that another 100 copies of the book have been ordered for sale this year! This is the third book order now so it’s lovely to see a book completely selling out and being reordered and doubly satisfying when it’s for charity.